Earth Day will be celebrated in the United States on April 22, and the date is fast approaching. Earth Day provides us with a wonderful opportunity to teach our kids about the environment and how we can all do our part to take care of the Earth. 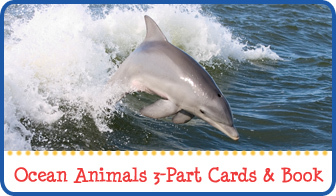 Are you looking for fun and fresh ideas for celebrating Earth Day? Any of the activities below would be appropriate for teaching kids about Earth Day. So whether you want to get outside and get your hands dirty or you want to stay indoors, check out these fun ideas for celebrating Earth Day with your kids. A great way to start off your Earth Day celebrations would be to read books about the Earth. 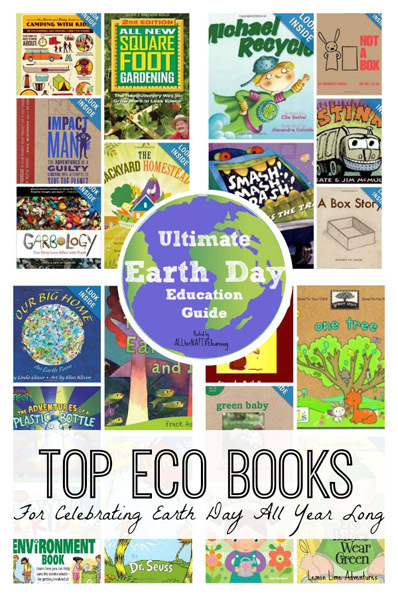 ALLterNATIVE Learning shared a big list of books appropriate for celebrating Earth Day. 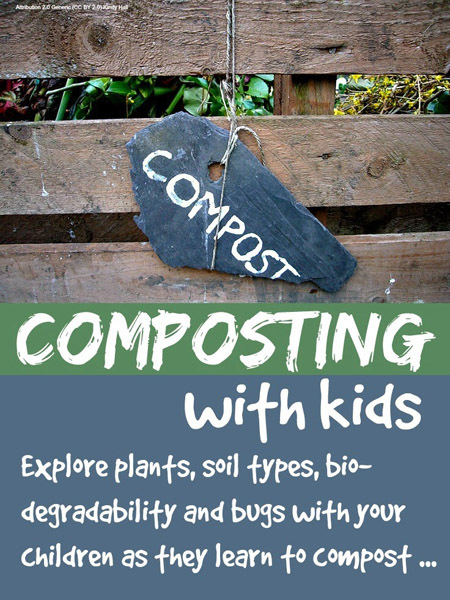 If you’d like to spend your Earth Day outside in the dirt, check out this post on composting with kids from Mums Make Lists. 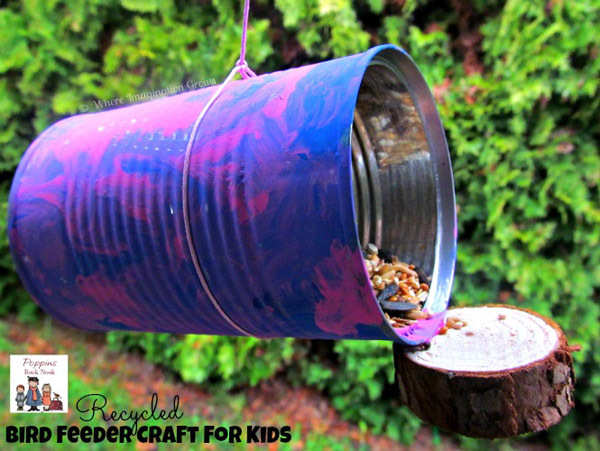 If composting isn’t your thing but you enjoy the birds, try making this bird feeder craft from Where Imagination Grows. Looking for other things to do outside? 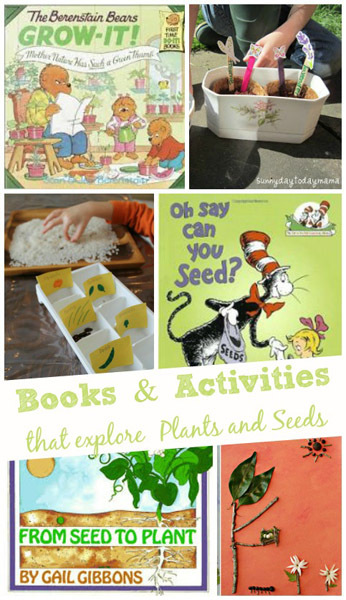 KC Edventures shares a number of books and activities that explore plants and seeds. And if you’d rather stay indoors for Earth Day, there are still plenty of things you could try. 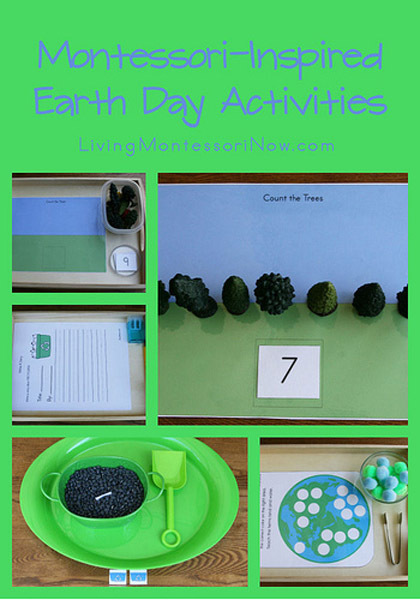 Living Montessori Now shared these fun Montessori-inspired Earth Day activities that would be perfect for teaching little ones about the Earth. 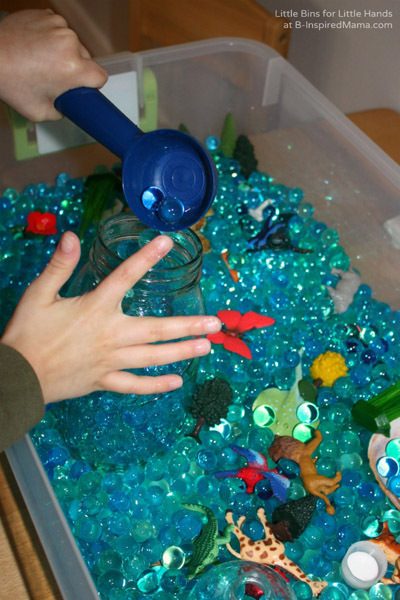 I also loved this clever Earth sensory bin made with water beads shared by Little Bins for Little Hands at B-Inspired Mama. 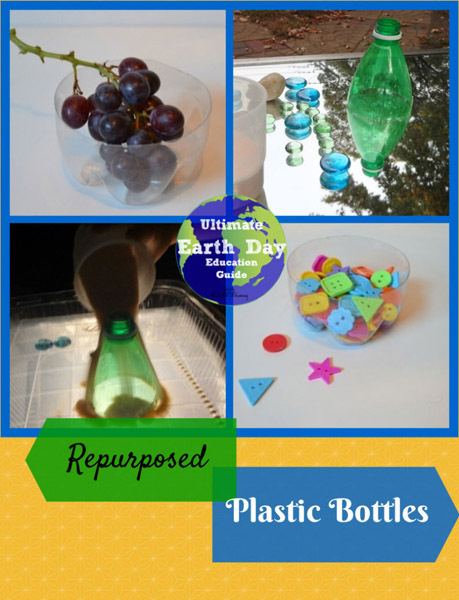 Or if doing good deeds is more your style, check out these ideas for repurposing plastic bottles from P is for Preschooler at ALLterNATIVE Learning. 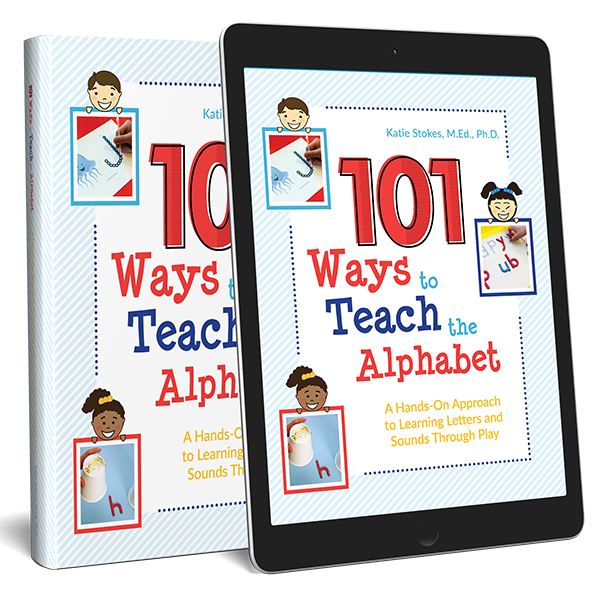 This would be a great accompaniment to a discussion on reusing and recycling with kids. 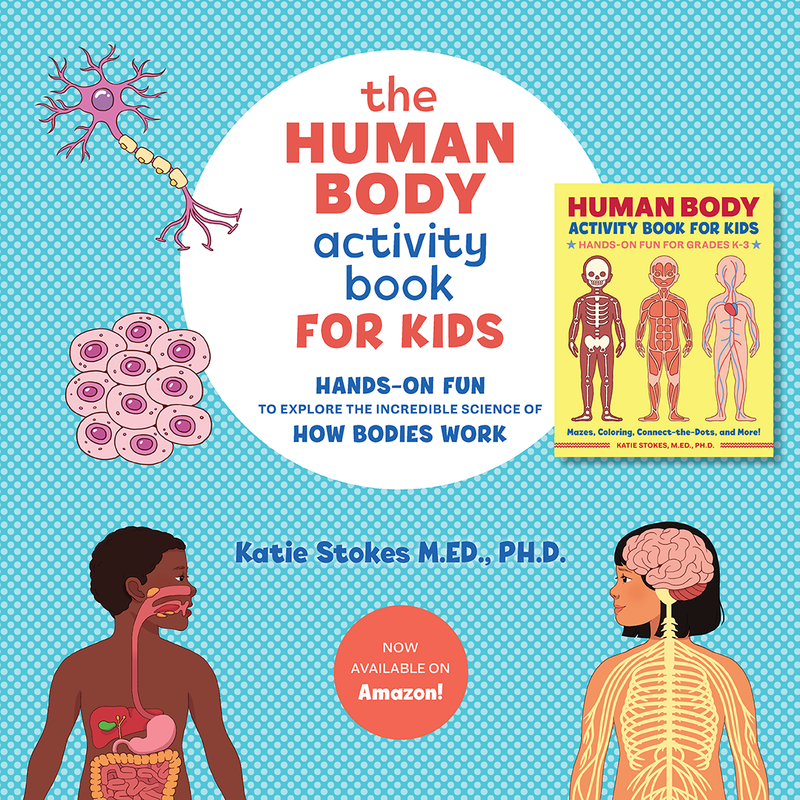 If you plan to talk with your kids about the importance of a healthy environment, you may want to check out the fabulous ideas shared by Every Star is Different in their pollution unit. 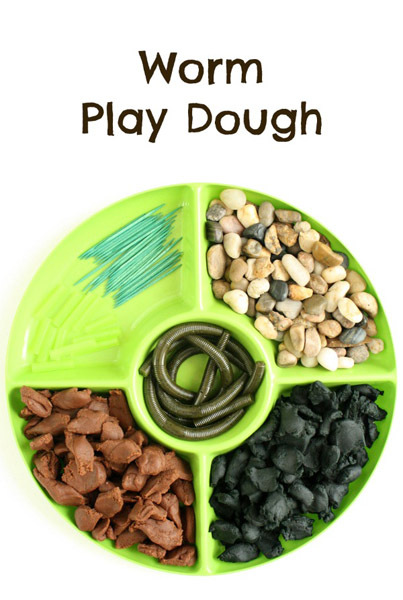 Finally, I just adored this worm play dough invitation to play put together by Fun and Fantastic Learning. I can just imagine all sorts of creative, worm-themed small world play that kids could come up with using this set up! 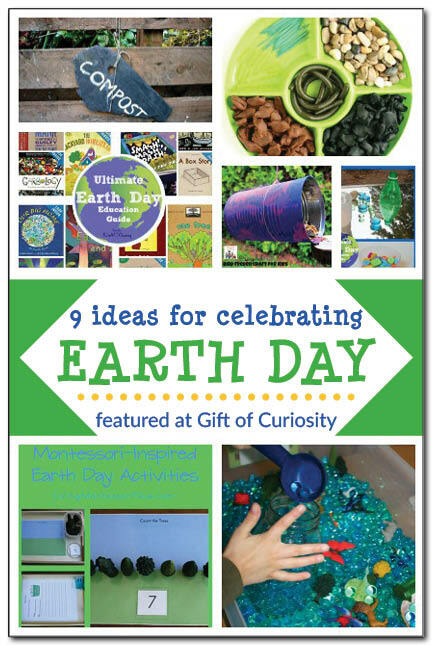 I hope you enjoyed these ideas for celebrating Earth Day! 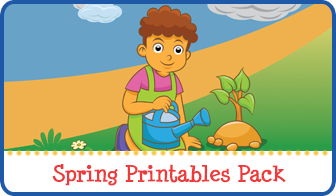 For more Earth Day activities, see my Earth Day Activities page and my Earth Day Pinterest board! 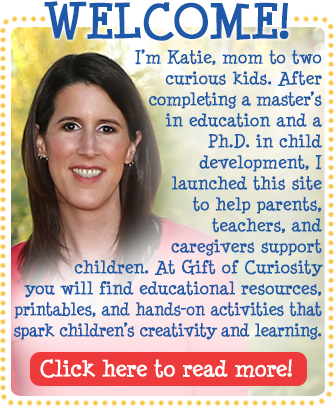 Follow Gift of Curiosity’s board Earth Day on Pinterest. 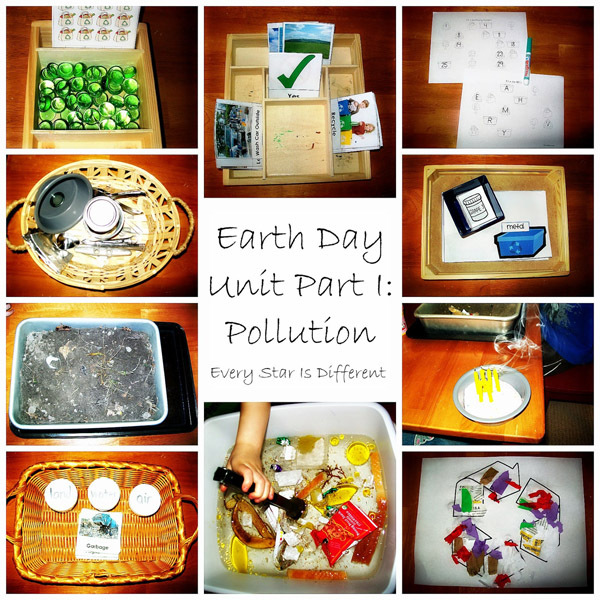 Thank you so much for featuring my Pollution Unit! Thank you for linking up to the Hearts for Home Blog Hop last week. Your post has been selected to feature on the Hearts for Home Blog Hop post on Monsters Ed this week. A great round-up! Thank you for sharing at Sharing Saturday!! Your website is amazing! It has so many great ideas!